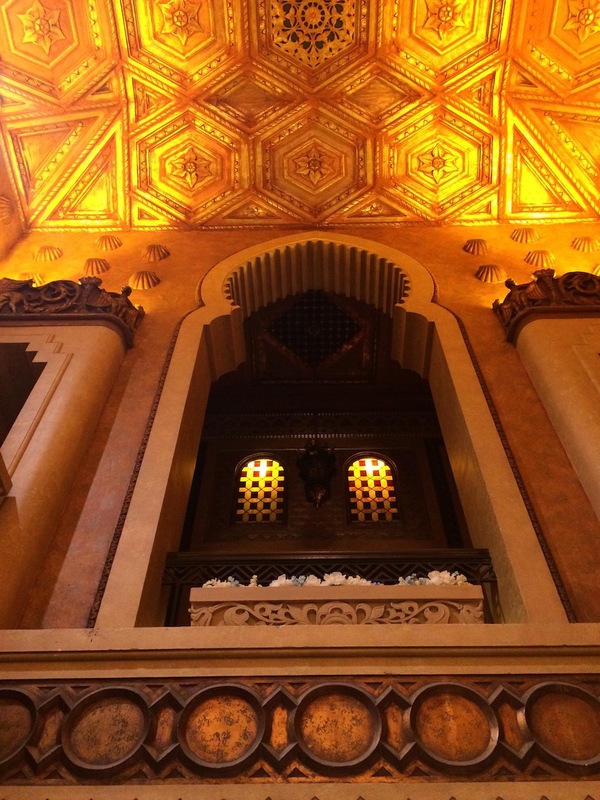 When the opulent three-tier, five-story Alabama Theatre opened in Birmingham on December 26, 1927, the president of Paramount dubbed it the “Showplace of the South.” With its 2,500 seats, gilded Moorish architecture, Mighty Wurlitzer pipe organ (a.k.a. Big Bertha), and new-fangled air-conditioning (the first in Alabama! ), it quickly put smaller movie theaters out of business. With the exception of the annual Miss Alabama beauty pageant and weekly meetings of the Mickey Mouse Club, the space operated as a film palace for 55 years. 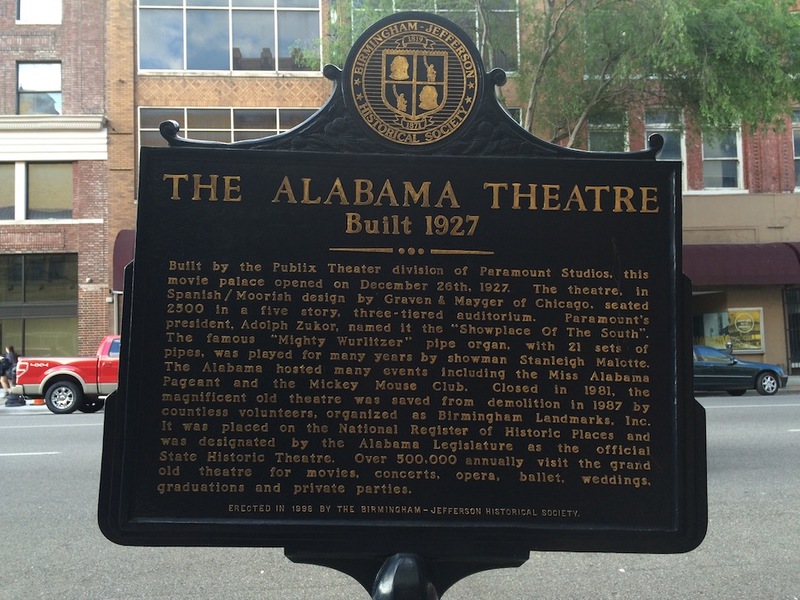 But like many grand old theaters, the Alabama fell into disrepair and was eventually shuttered in 1981. Its owners declared bankruptcy in 1987 and planned to build a parking lot in its place, but it was unwittingly saved from demolition by a group of devoted Wurlitzer enthusiasts. They wanted to buy Bertha but were told, in no uncertain terms, that to get their hands on Big B, they had to buy the whole building. 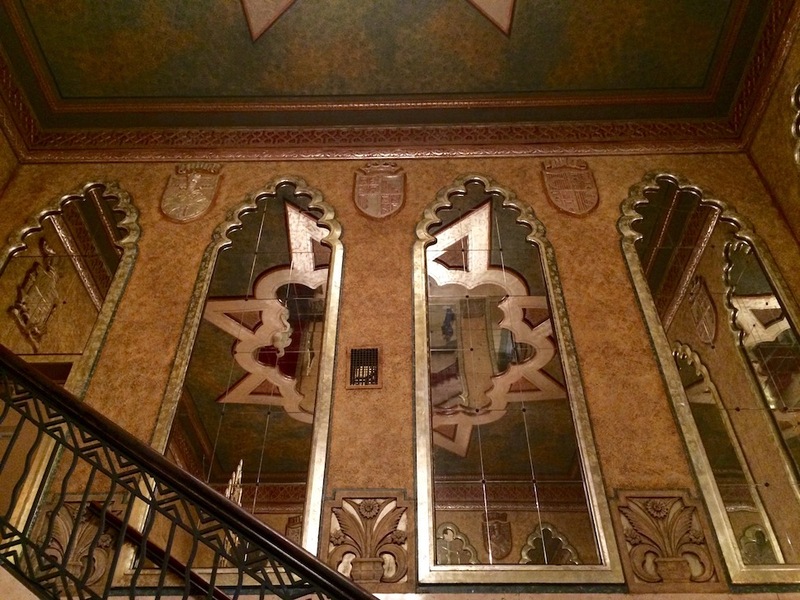 To stand today in its Liberace-esque foyer, neck cricked back just to take it all in, you’d never know this landmark was inches from a wrecking ball. 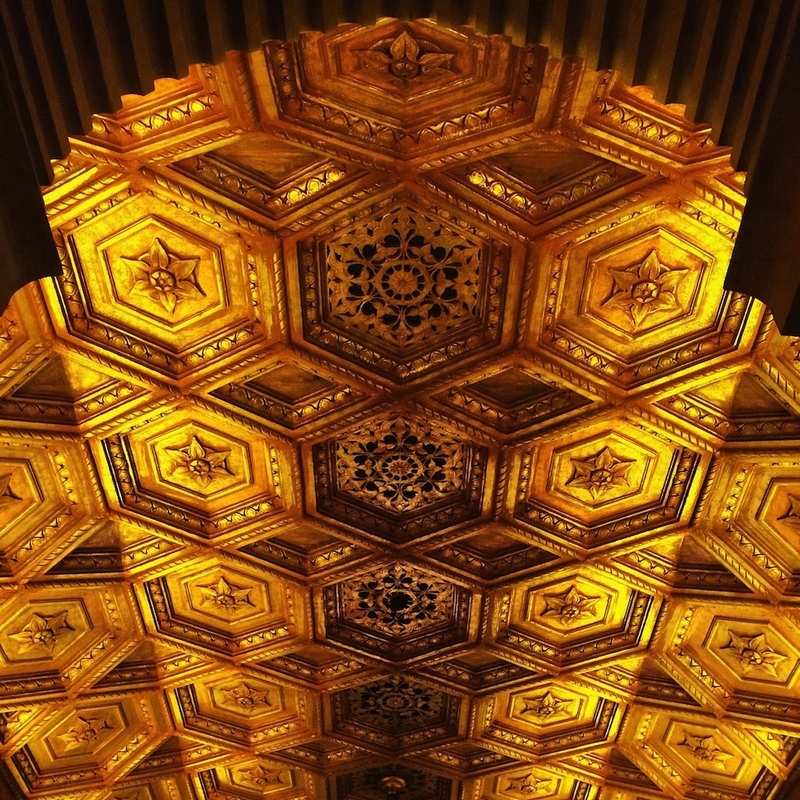 (Props to EverGreene Architectural Arts for pulling off the restoration of the century!) Nowadays, folks like Elvis Costello and Loretta Lynn play here. 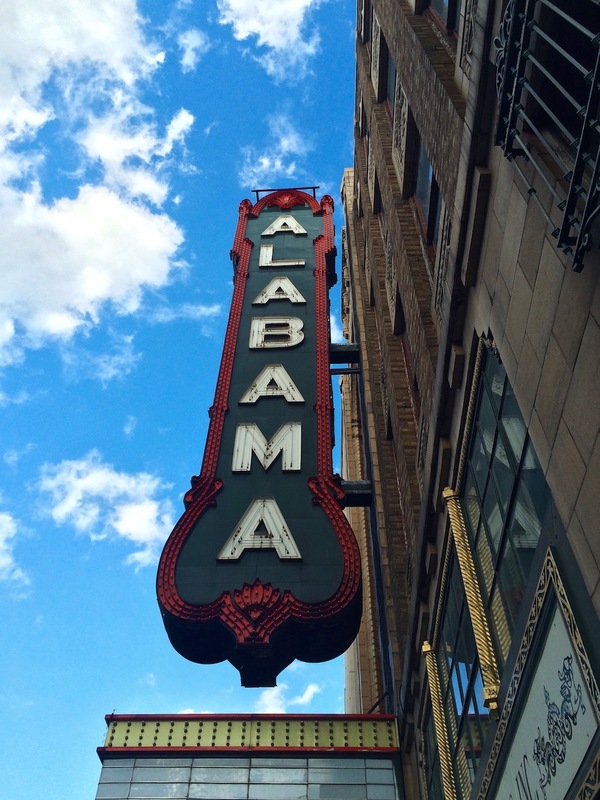 The theater regularly hosts the Alabama Ballet and Alabama Symphony Orchestra, as well as repertory film screenings. 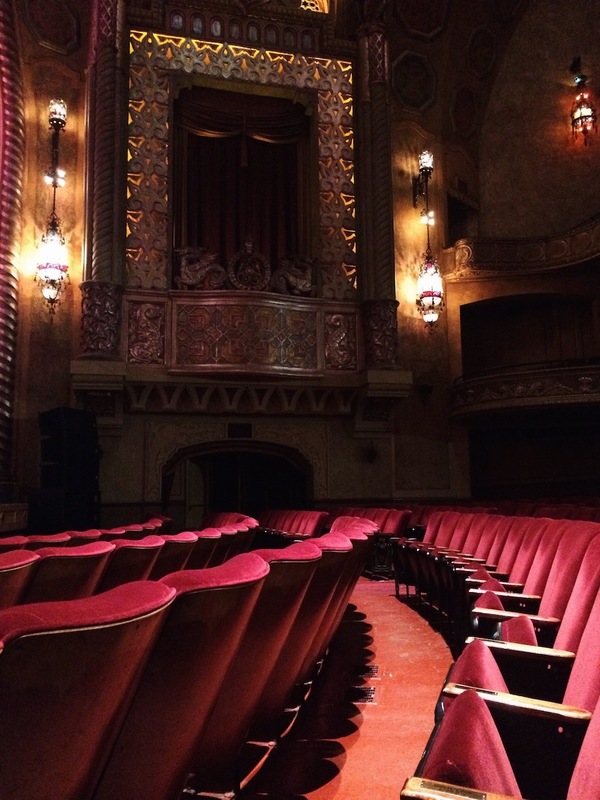 To learn more about the history of the theater and revel in its faded grandeur, sign up for a 75-minute public tour ($10 per guest). 1817 3rd Ave. N., Birmingham, AL; 205-202-2262.